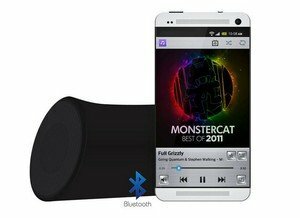 high quality music anywhere on the go. Sound Pot switches off automatically if not used for 10 minutes on waiting mode. Hands Free - Supports mobile hands-free function. 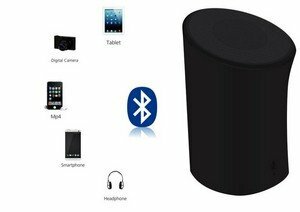 Portable The portable Bluetooth speaker is quite aesthetically designed and boasts compact cylendrical design and rubberised premium finish. 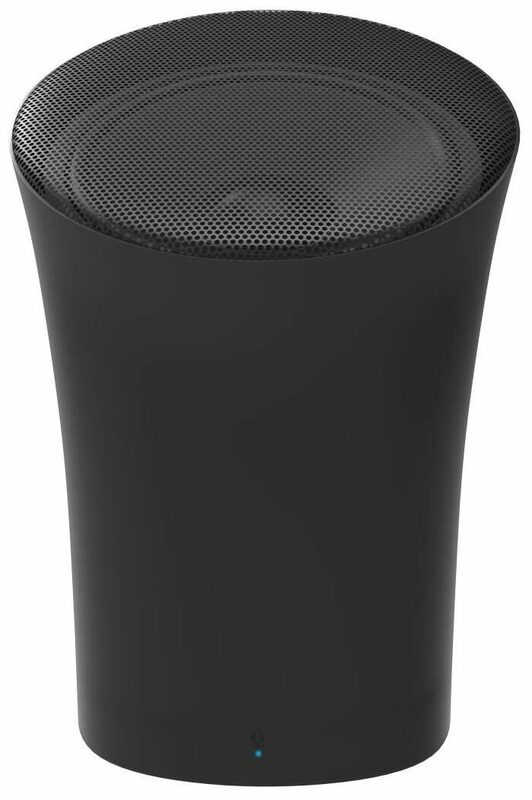 The sound-pot, portable Bluetooth speaker is quite aesthetically designed and boasts compact cylendrical design and rubberised premium finish. 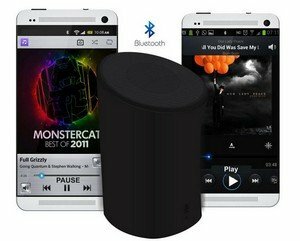 Besides, it also offers high quality loud yet 'pleasing to ears' sound for devices like iPhone, PDA, iPod, computer, iPad or other Bluetooth Audio devices. It is a small sized convenient electronic solution for listening to music anywhere and anytime, even while travelling due to its Bluetooth features. Designed to offer you the next level of comfort, It is a small sized convenient electronic solution for listening to music anywhere and anytime, even while travelling due to its Bluetooth features so that you can enjoy your music comfortably while you work/run/play/travelling. Say goodbye to restrictions. You can pair two devices with sound-pot at the same time without worrying about connectivity issues. The most striking feature of sound-pot is its compact size, absolutely light weight yet extremely powerful in output. It is an ultra portable device fitting comfortably in the palm of your hand. 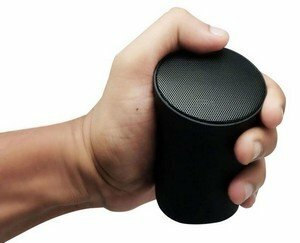 sound-pot offers a high Bluetooth range of almost 10m, giving you the comfort to play your music as and from wherever you want it. The Mobile hands-free communication is easy to operate. The Lithium - ion battery with internal rechargeable trait imparts a long lasting charge to the portable device. 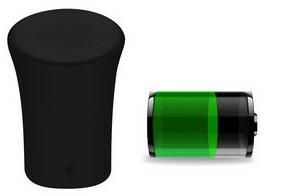 Users can charge the portable speakers through Micro USB cable provided with the system. The power indicator flashes the red light to alarm the users about the need to recharge. Users need not worry if they suspect the battery being dead. They just need to recharge it several times and it will be good to use again.